This awesome strand of high quality crystal clear acrylic beads is perfect for decorating a wedding tree. You can also make your own curtains, string them along as garlands, the possibilities are endless! 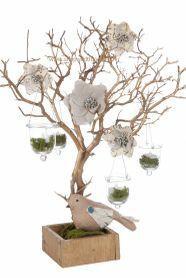 This garland is made especially for ShopWildThings using very high quality acrylic. You'll be proud to use these strands for your event or your home. Each bead is attached to the next using jump rings. These are hand-strung! 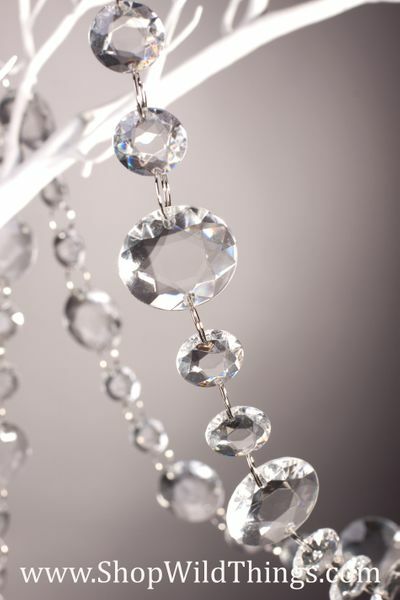 The beautiful facets on each bead allow for light to refract beautifully, providing sparkle and shine to your display. There is NO iridescent coating on these garland strands, just perfectly clear beads. Because of the jump rings, these are very easy to make as long or as short as you wish! Each smaller faceted circle shaped bead is 3/4" diameter and 1/4" thick. This smaller circle is the same as on our "Jubilee" garland (which has the smaller beads only) and has a thick and substantial look to it because of the fact that it is not totally flat. The larger beads are almost 1 1/4" in diameter and are also nicely faceted. The pattern on the garland is 2 small, 1 large, 2 small and so on. 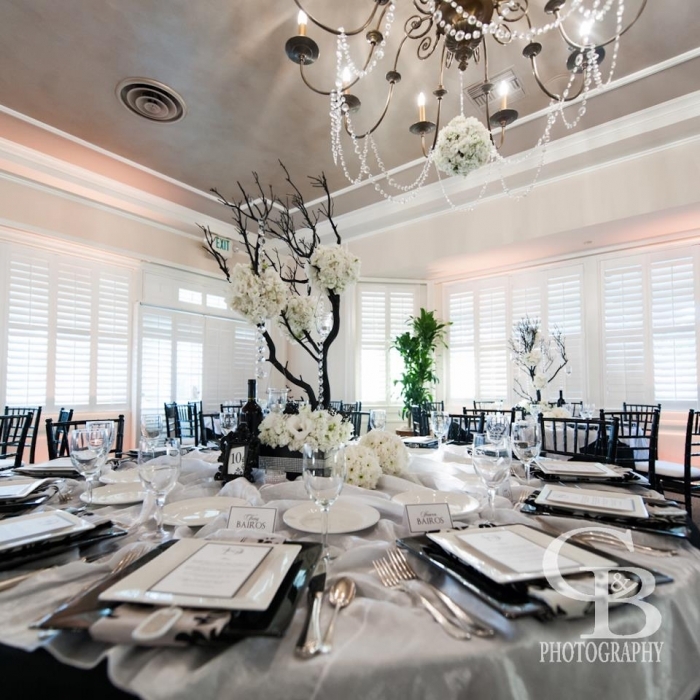 Our brides LOVE the look of these dramatic crystals! 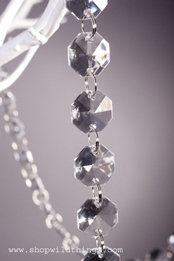 Dress up any event by hanging these beautiful crystals on an arrangement to draping a chandelier for a fantastic look! House of Flowers approved!! Merchant Response:Beautiful!!! Thank you for taking time to send your review and post a photo!! We appreciate you! ProsLarge in size and shape. The diamond Garland is beautiful. I used it to make centerpieces and as a backdrop for my daughters wedding. A tad big, but no worries because WildThings has the smaller facets as well, but I went ahead and used them and everyone loved all the decorations and the sparkle is amazing!!! The chandelier turned out beautifully. The strands are very long and the crystals are reflective. ProsAs shown, but better when delivered. Shipping was very fast and got everything ahead of time. I spoke with some one and she was very nice as to how to order and any special request. a rain chain from my gutter. working beautifully and looks stunning when the sun hits it. I love the crystal clear assorted sizes and the shine it reflects especially when light hits the crystals. Beautiful! Was just what I expected it to be.